Meditation: I’ve tried so hard, but it’s never worked for me—until now. Outfit: Courageous Freedom Legskin Tights by Courage My Love. I’m a perfectionist. I love getting things exactly right. So when I got interested in meditation, I had a lot of questions about how I should be doing it: How long should I meditate for? Eyes open or closed? 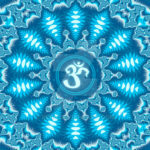 Should I focus on the breath or chant a mantra? Visualise chakras or empty my mind completely? I tried all these things. But somehow, no matter what I did, I felt like I was never quite getting it right. Meditation always felt like hard work to me. It was uncomfortable; It particularly exacerbated the tension in my neck, shoulders and back, and often it left me feeling anxious, scattered and cut off from my body. But meditation is supposed to be hard, right? I meditated like this for years. I did get something out of it: little glimpses of stillness and peace in my mind and body; a growing capacity to simply be with my experience. But at the end of the day, my meditation practice often felt like ticking a box and nothing more. It was nothing like my asana practice. Doing asana was a reward in itself, a rich, full and enlivening experience. 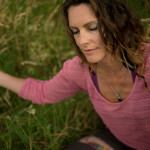 When I was doing asana I had glimpses of what it felt like to be fully embodied. I was able to sense, work with and release tension and blockages. Asana helped me to feel alive in my body and my humanity; Meditation made me feel dull and deadened. Then I came across a startling and simple idea that revolutionized my meditation practice. The idea was this: That it’s OK to meditate lying down. Yup. Lying down to meditate is a legitimate approach. It’s not ‘cheating’, and it’s not just for the old and the infirm. In fact, for those of us who come to yoga or spiritual practice cut-off from our bodies (read: most of us) lying down to meditate might just be the best way into meditation. Since I started meditating in this way, my meditation practice has undergone a complete transformation. I love meditating lying down. When I lie down to meditate my body immediately opens, and my mind opens too. I’m able to bring a much greater awareness to the practice. The tension in my back and shoulders is gone. My meditation practice actually helps to release the tension, rather than making it worse. I don’t fall asleep when meditating in this way; I feel awake, very relaxed and very present in my body. I meditate every day, and I look forward to it. 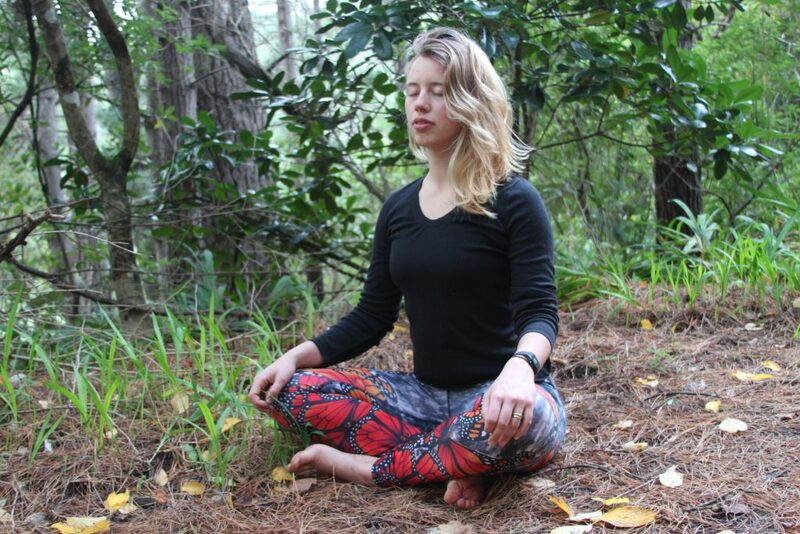 So why isn’t it more common to meditate like this? Why had no one suggested it to me before? I should be clear, I don’t think there is anything inherently wrong with sitting meditation. Only that it wasn’t working for me, and therefore perhaps won’t work, at least initially, for all of us modern-day human beings. Our meditating ancestors lived very different lives to us. They were much more present in their bodies, they had to be. But we modern-day humans, with our sedentary lifestyles, desk jobs, high stress levels, processed food, and constant information and technology overload, tend to live quite disembodied and disconnected lives. When we begin with upright meditation, this practice can continue and perhaps even increase our disconnection from our body. Our egos are so strong and our connection with our bodies so weak that upright meditation becomes just another way in which we deny the needs and experience of our body in service of the goals of our ego. This might also explain the current popularity of asana, often to the detriment of the other aspects of yoga, including meditation. But perhaps it’s not just that we’re obsessed with bodies and the material world. Perhaps there is a deeper wisdom at play, an intuition that re-connecting with the body is an essential step for proceeding with any kind of spiritual practice. But while sitting meditation is where I’m headed, I’m in no rush to get there. I want to meditate upright with the full consent and involvement of my body, not just because my ego thinks that I should. ‘Perfect meditator’ is a box that I don’t need to tick. So yes, I am the yogi who meditates lying on the floor under a pile of blankets (or my sleeping bag if it’s really cold). I love my meditation practice, and I love that I love my meditation practice. Will I always meditate in this way? Maybe not. Does it serve me at this moment? Yes! And that’s what my yoga practice is all about, going beyond ‘right’ and ‘wrong’, and discerning what I need in this moment. It’s usually not what I expected. Such a great reminder that there are many ways to access a meditative practice. I do think that selecting a place separate from where one sleeps is essential if selecting a supine version of meditation. Knowing the body is trained to sleep in bed can get a mixed signal when trying to stay focused in the present. Yes! Great point. I very much agree with you there. I’m glad you enjoyed the article.